ThirdPath has been working with a truly inspirational group of leaders who are learning how to support an integrated approach to work and life from top to bottom. It’s also probably no coincidence that some of these leaders started their own business – often a situation where innovation can transpire very rapidly. What you might not have considered is that the approach these leaders are modeling is linked to new kind of bottom line. Instead of building organizations that rely on extreme performance goals in order to meet inflated bottom lines, these leaders are promoting a very different path. They teach us “enough is enough” by putting an end to excessive work hours, and instead encouraging employees to be successful at work AND have time for their lives outside of work. Attorney Anthony Doniger, a Partner at Sugarman Rogers, and past president of the Boston Bar Association, has many wise words to share on this topic. To listen to the wonderful discussion we had with Tony and two other leaders – both who founded their own law firms – click the SoundCloud icon on the right. A good deal has been written about contentment, stress, dissatisfaction and disillusion in the legal profession [and other professions as well, ThirdPath would argue!]. 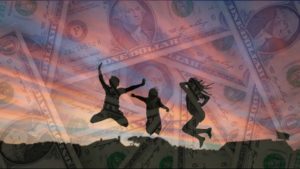 For better or for worse, many lawyers and most large and mid-size law firms often measure their success not on a happiness or contentment index but against a monetary standard. Earnings — or “profit per partner” — is the currency with which firms compete for rankings on the all important The American Lawyer charts. To improve these monetary rankings firms do things that are harmful to the profession and bad for lawyers. One way to increase profit per partner is to limit the number of partners who count in the equation. However, with fewer people making partner, it is of course harder for diversity milestones to be achieved as there are fewer openings in the partnership ranks for anyone. On the revenue side, the pursuit of ever increasing revenues by definition imposes greater pressures on associates (and all lawyers). The result, of course, is that lawyers have less time for professional and other non-billable activities. In addition, mergers and acquisitions have increased markedly over the last decade. The cost of these transitional events is not insignificant. Indeed, at the annual Boston Bar Association Leadership Retreat, a large percentage of the attorneys present had personally experienced such an event, finding it stressful and resulting in a solution that was less optimal from the perspective of contentment, though perhaps more profitable. In the end, we need to ask when enough is enough. Should we be willing to trade some profit or growth in profit for greater satisfaction? Surely it is okay to make a little less next year (or not make more) and take on some new professional or pro bono activities, or yes, even personal activities (there’s nothing wrong with hiking the Appalachian Trail). There is much we can do to improve our professional and personal lives, our pro bono and bar work, our efforts to improve access to justice, if only we would emphasize alternative measures of success. This employee-centered approach achieves success across industries. Chief executive Jim Sinegal, retired from Costco in 2012, was another pioneer around this approach. Read Jim’s thoughts “On Leadership,” in the Washington Post.